Transnet National Ports Authority’s (TNPA) Port of Ngqura is the only port with a green status in the South African port system and maintains this status through a number of innovative measures. “Ngqura is the only South African port that was subjected to environmental legislation during its entire development and will continue to be during its operation and future development,” said Mandilakhe Mdodana, Environmental Manager. The port’s ‘green’ initiatives include among others a number of unique biodiversity conservation programs, which were implemented since inception. 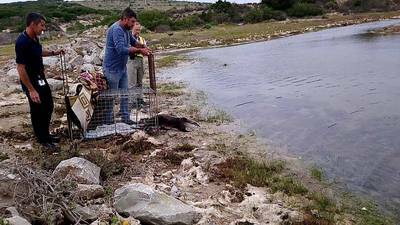 This initiative uses poison-free methods and natural predators to manage and control the rodent population in the port. Natural predators such as owls are deployed in strategic areas around the port and rodent bait stations are filled with non-poisonous bait such as sunflower seeds to trap rodents. TNPA preserves the most sensitive and threatened South African vegetation types found within the port, namely Bontveld and Messic Succulent Thicket. These provide habitat for a number of endemic species. The areas are identified in line with the Coega Development Corporation’s open space management plan - therefore development within these areas is not encouraged. Fish monitoring, which started prior to construction, is still ongoing. It is conducted by a team of researchers under the Bayworld Center for Research and Education led by Dr Matt Dicken. This tag and release program is recognized by the Oceanographic Research Institute. The research is aimed at investigating the composition and abundance of fish. The most recent results indicate that the port is serving as a nursery for fish and gully sharks. This is attributed to the good water quality within the port and the calm sheltered environment provided by the port infrastructure. Prior to any construction in the port a search and rescue exercise is conducted, which is aimed at identifying plants and animals that need to be rescued. Recently, the port had to relocate a number of endemic pigmy hairy footed gerbils (Gerbillurus paeba), to ensure that they were not negatively impacted by the construction of the TNPA’s Admin Craft Basin. Other environmental initiatives that promote sustainable development in the port include rainwater harvesting for ablution purposes, the implementation of the Department of Environmental Affairs’ approved environmental management plans and a marine mammal monitoring program. This entails having employees on the lookout for marine mammals such as whales and dolphins. The port is recognized for its commitment in conserving the environment in which it operates. The Port Environmental Authorization, which requires bi-annually audits by independent Environmental Control Officer, has bestowed the port with high levels of compliance (above 90%) to date. It was also acknowledged as one of the most environmentally compliant organisations in the Eastern Cape in 2014. It received a Top Green Organization Award endorsed by the Department of Environmental Affairs and the Institute of Waste Management of South Africa.